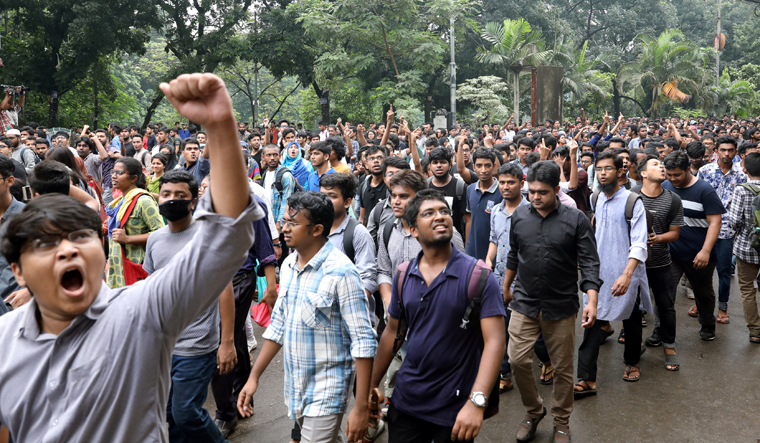 Bangladesh’s cabinet on Monday will consider capital punishment for traffic accident deaths, a law ministry official said, as thousands of students held protests for a ninth day over the deaths of two teenagers by a speeding bus in Dhaka. The current punishment is a maximum jail term of three years. Using the death penalty for road accidents is rare anywhere in the world. Bangladesh's transport authority listed punishments given in different countries that ranged from 14 years in the UK in extreme cases to two years in India. Amid the ongoing protests, an official vehicle carrying the US ambassador to Bangladesh was attacked by a group of armed men on Sunday, some on motorcycles, the embassy said in a statement. There were no injuries but two vehicles were damaged. Police said they did not have an immediate explanation as to why the US ambassador came under attack.